Emergency Situations May Increase the Odds of Drug Errors | Kennedy Hodges L.L.P. When most people think of medication errors, they think in terms of receiving the wrong drug or the wrong dosage when visiting their pharmacy. Unfortunately, medication errors can occur in a wide variety of environments. One such environment is the emergency or operating room. When a pharmacist is present to oversee the medication being administered in these situations, the likelihood of errors could potentially be reduced. The American Society of Health-System Pharmacists and the Institute for Safe Medication Practices both recommend that a pharmacist be present in emergency situations in order to minimize the likelihood of a medication error. Specifically, they suggest that a pharmacist be part of the cardiopulmonary response resuscitation team. Unfortunately, not every hospital has a pharmacist present in all emergency situations. When a patient is brought to the operating room and requires medication, protocol dictates that 41 different steps be carried out from starting the infusion to actually getting the medication ready for the patient. With so many steps, there are numerous points where an error can occur. Emergency situations are often chaotic. Human error is more likely to occur in a chaotic environment. Emergency situations are also intense and require high levels of focus with regard to medical care. The intensity of the situation can increase the odds of a medication error. The old saying “too many cooks in the kitchen” can also contribute to medication errors in emergency situations. With so many medical professionals present, an error may occur. Inexperience or knowledge deficits also play a role in medication errors that take place in emergency medical situations. Other factors that can contribute to medication errors include lack of communication, poor standard operating procedures, inexperience when it comes to the preparation of medications, faulty drug information, and time sensitivity. 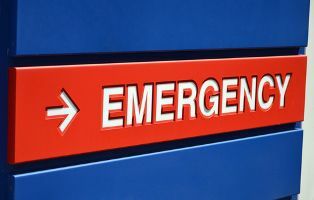 In an emergency situation, it is often difficult or impossible to take the time to call upon reference materials or resources if there is a question or concern about the medication being administered. If you suffered an injury as a result of a medication error, we are here to help. We encourage you to contact us today for a consultation at 888-526-7616.